Commonsense & Wonder: US Steel Restarts Two Blast Furnaces in Granite City, IL After Trump Announcement on Tariffs. Free trade vs. fair trade. US Steel Restarts Two Blast Furnaces in Granite City, IL After Trump Announcement on Tariffs. Free trade vs. fair trade. Speaker Paul Ryan pushed back against President Donald Trump’s announcement to place tariffs on foreign aluminum and steel. 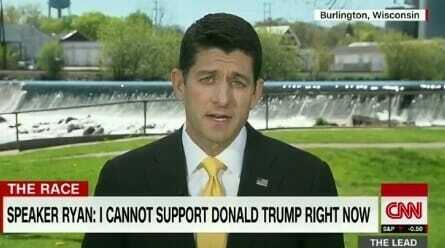 Paul Ryan, a renowned globalist who joined President Obama in pushing the Trans-Pacific Partnership, attacked President Trump on Monday for his announcement to place tariffs on foreign steel and aluminum. Paul Ryan still has NO INTENTION of passing the Trump agenda more than a year after his stunning win over Hillary Clinton. Paul Ryan came out again on Tuesday and slammed President Trump’s plan to tax aluminum and steel imports. On Tuesday Jesse Gary, the Executive Vice President at Century Aluminum, told Trish Regan on FOX Business Network that Century Aluminum will hire 300 new employees in western Kentucky thanks to Donald Trump’s announcement on tariffs this past week. U.S. Steel announced Wednesday that it will restart one of two blast furnaces and the steelmaking facilities at its Granite City Works in Illinois, recalling about 500 employees. The mill restart comes on the heels of President Donald J. Trump’s announcement that he would seeking tariffs of 25 percent on imported steel and 10 percent on aluminum. Getting the mill running again could take up to four months, the company said. “Our Granite City Works facility and employees, as well as the surrounding community, have suffered too long from the unending waves of unfairly traded steel products that have flooded U.S. markets,” U.S. Steel President and CEO David B. Burritt said in a prepared statement.